PHEW. Because I totally want one of these. An inner look at the Pay-A-Grill. 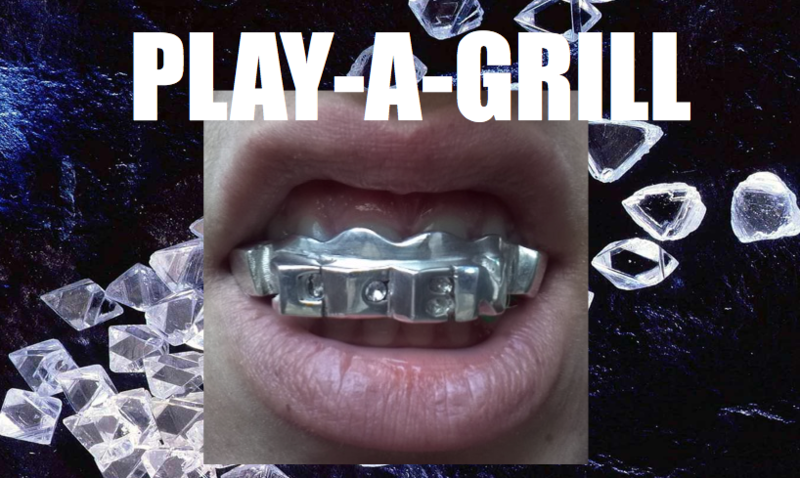 Chacin said the idea for Play-A-Grill came from learning about bone conduction — namely that sound waves could travel through solids as well as air. An installation called “Sound Bite” at the Exploratorium Museum in San Francisco allowed her to experience this jawbone-to-ear bone vibration firsthand, and she discovered that hip-hop music was the most clearly discernable. So how exactly does it work? Well, there’s a small vibration motor hooked up to the output jack of the retainer/mp3 player that vibrates to the frequency of the song (perhaps Nelly’s “Grillz” would be an appropriate selection). Once you bite down on the motor, your teeth begin to chatter at the same frequency too. And because your teeth are embedded in the jawbone (in close proximity to the inner ear bones) this in turn vibrates the cochlear nerve that sends the information to your brain as sound. The process is similar to that of a cochlear implant, except that the vibrations originate from your teeth, so the sound quality isn’t as clear or loud. 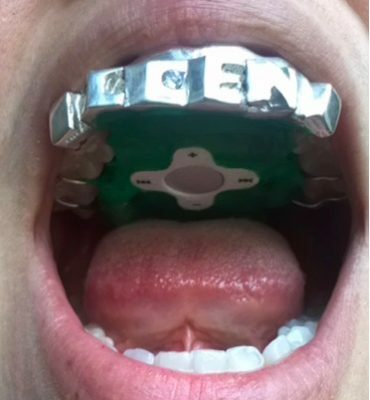 Unfortunately the grill is still in prototype phase and isn’t on the market just yet — though Chacin says “there are some conversations about making this a retail item” — in which case I will be first in line to purchase my iTongue. Allison T. McCann has a B.S. in science, technology and society from Stanford University, an interdisciplinary major that sparked an interest in all things that swipe, zoom, beep, fly or otherwise involve cool technology. How does that work? is the eternal question that lingers in her thoughts during long runs along the Hudson. A born and raised California girl, she’s a bit nervous about the New York winters, but is very excited to continue writing about science and technology at SHERP. Follow her on Twitter.